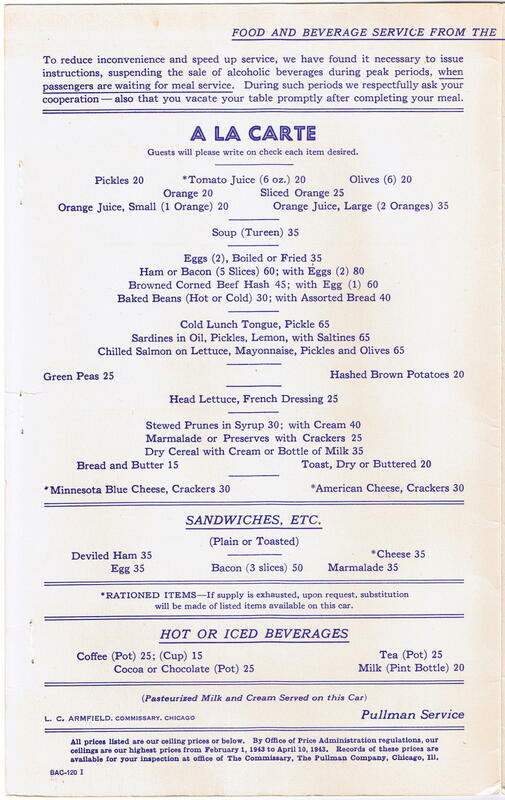 Description A nice example of a 1943 World War II (WWII) Pullman Restaurant Car/Service Menu. 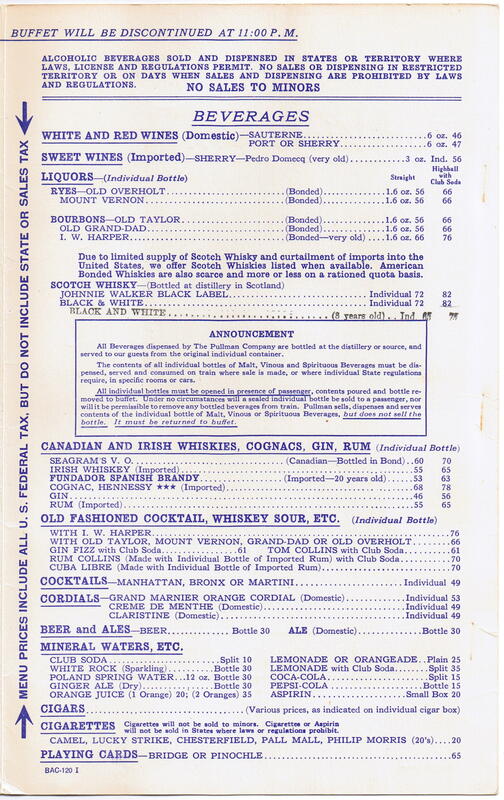 These menus are not easy to find today as most of Pullman's food service had switched to lighter Lounge, Buffet and Club car services. 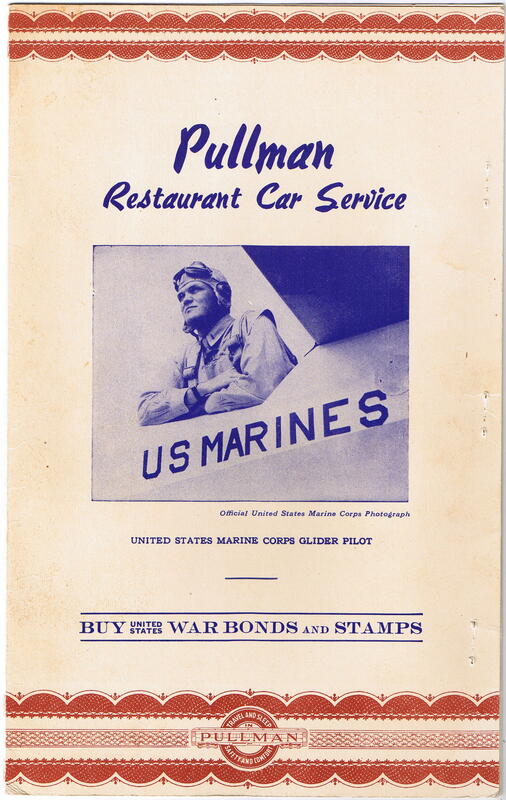 The cover features a patriotic photograph of a US Marines pilot. 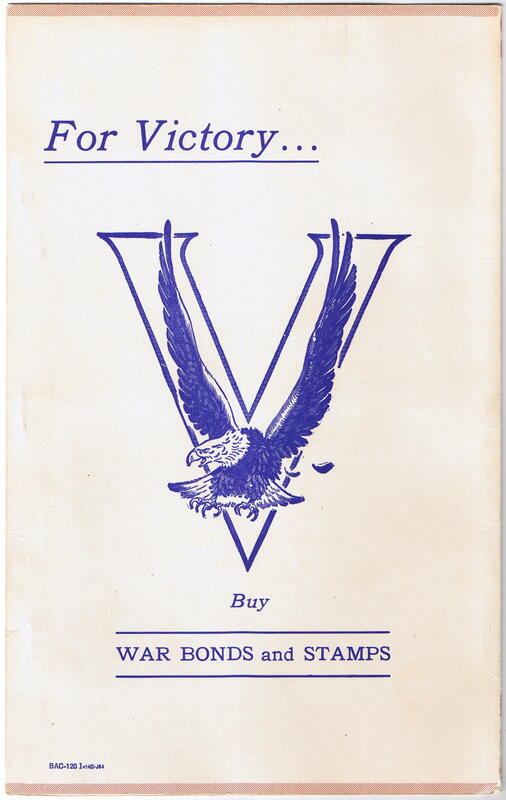 Like most every Pullman (and railroad) menus of the period, both the front and rear covers have ads urging the passenger to buy war bonds and stamps.